Hicks Landscape is proud to offer such a broad range of EasyTurf products for our Central NC residents. If you’re still looking for that durable, year-round, evergreen lawn, your search is over. View all of our EasyTurf products below. A new Revolution product that intertwines soft, taller multi-colored blades with shorter curled nutmeg-colored blades to match the look and feel of a beautifully manicured lawn. Also a Revolution product that intertwines soft, taller multi-colored blades with shorter curled olive-colored blades to match the look and feel of a beautifully manicured lawn. Versa Lush artificial grass offers a low infill product, a realistic fake grass, by combining field green and olive green soft spun monofilament c-shaped blades with nutmeg thatch to create a durable yet soft artificial grass landscape product. The uniquely soft blades are available in one or multiple colors. A beautiful field green product that enhances every landscape with its realistic look and soft feel. 1.5″ Pile Height. A luxurious grass that intertwines soft, tall field-green blades with shorter curled olive colored blades to match the look and feel of a beautifully manicured natural lawn. A luxurious grass that intertwines soft, tall field-green blades with shorter curled nutmeg colored blades to match the look and feel of a beautifully manicured natural lawn. Enhance your lawn and outdoors with this low-infill putting green. Adaptable to almost any terrain, start enjoying your putting green in as little as one day! A state-of-the-art playing surface with fully customizable green speeds. Complete your personal putting green with fringe, undulations and sand traps. A truly versatile landscape solution. This beautiful lawn can be installed over concrete, decking and more. Its combination of soft, longer blades and shorter curled blades ensures a beautiful realist lawn solution. Pedigree fake dog grass intertwines field green and olive green soft spun monofilament to create a soft, yet natural looking turf. UV-resistance polyethylene projects against fading and discoloration to ensure your new yard will maintain it’s color for years to come. 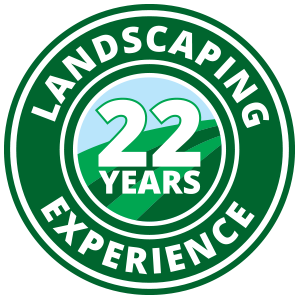 Start improving the longevity of your lawn with EasyTurf products from Hicks Landscape. Contact us today to schedule your free on-site consultation!